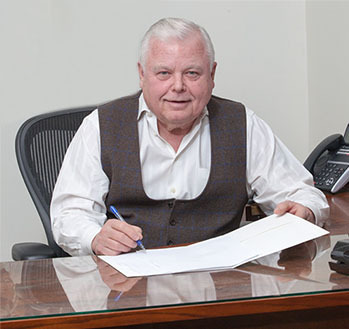 Peter Bergstrom founded The Tax Center, Inc. in 1989. He graduated from Boston University with an undergraduate degree in Accounting, and with his MBA from the Boston University School of Management. Upon graduation Peter entered public accounting accepting a position with a large firm in Boston. He also served as an Assistant Professor of Accounting at Bridgewater State University for several years prior to founding the Firm. Peter has 35+ years of experience preparing business and individual tax returns. In addition to working with businesses to ensure proper compliance with state and federal tax agencies he also works closely with individuals to resolve their more complex tax issues. Peter is a lifelong resident of the Bridgewaters. When not in the office, Peter volunteers at Beth Israel Deaconess Hospital (Jordan Hospital) in Plymouth. He is an avid reader and enjoys cooking, gardening, cars and spending time with his grandchildren. Anne Bergstrom Beaudoin, JD, LL.M. Anne Beaudoin is a graduate of The George Washington University with a degree in Political Science, and from Suffolk University Law School where she earned her JD. While attending law school, Anne had the opportunity to work as a summer law clerk for the Chief Special Trial Judge of the United States Tax Court in Washington, DC. This sparked her interest in tax, and led her to accept a position with The Tax Center, Inc. in 2003. In 2010, Anne returned to school part-time to pursue her Masters of Taxation from Boston University School of Law. Upon graduation, Anne accepted a position with KPMG in Boston and then with US Trust/Bank of America managing their Personal Tax Department for the Northeast Division. Anne returned 'home' to The Tax Center, Inc. in 2017. Anne specializes in complex tax problems affecting individuals. She has extensive experience working with state and federal taxing authorities to resolve client tax disputes, including audit representation. She has also worked with expatriates on their tax compliance and reporting, including the FinCEN Form 114 (FBAR filing) and with tax planning and compliance for high net worth individuals, to include preparation of the Form 709, The Gift and Generation-Skipping Transfer Tax Return. 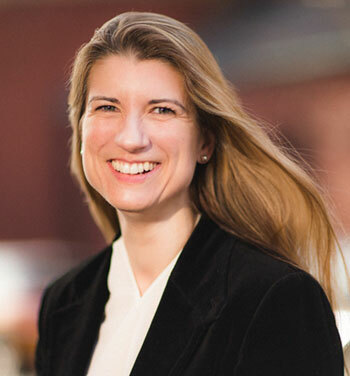 Anne is licensed to practice law in Massachusetts, the District of Columbia, and before the United States Tax Court. She lives in Plymouth with her husband and two daughters. She enjoys gardening, running, paddling, traveling and dabbles as an amateur potter. 35+ years of experience preparing business and individual tax returns. Family run business dedicated to you and your family. Specializing in complex tax problems affecting individuals and small businesses. The Tax Center has prepared my returns for well over twenty years and I have been extremely happy with the services I've received. Peter and Annie are a skilled, knowledgeable team with extensive tax preparation experience. They provide their clients with reliable tax advice, excellent customer service and an accurate finished product.